In celebration of Martin Luther King Jr. Day on Monday, the U.S. National Park Service will be waiving entrance fees at all National Parks. As an added bonus, free cave tours are also available at some parks. 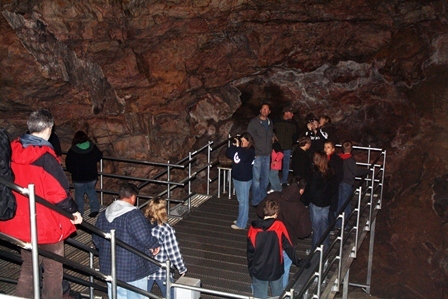 Visitors to South Dakota’s Jewel Cave National Monument may choose to partake in a free Scenic Tour or Discovery Tour. The one hour and 20 minute long Scenic Tours are offered at 10:00 am and 2:00 pm, while the shorter 20-minute long Discovery Tours are conducted at 9:05 am, 12:45 pm, and 3:45 pm. 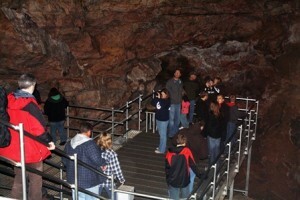 Nearby Wind Cave National Park will also be offering free tickets for their one-hour long Garden of Eden Tour. The tour, which highlights boxwork formations for which the cave is famous, will be taking place at 10:00 am, 1:00 pm, and 3:00 pm. Meanwhile in New Mexico, Carlsbad Caverns National Park will be waiving entrance fees for its two self-guided cave tours, the Big Room Route and the Natural Entrance Route. Finally Kentucky’s Mammoth Cave National Park will be offering free one and a quarter-hour long Mammoth Passage cave tours to visit the cave’s largest and most visited entrance area. For more information contact the respective national park you intend to visit.